This product is particularly effective against acne (especially those occurring in adolescence-acne). Can regulate visceral functions, keep the complexion fresh, consolidate the kidney, and make the skin tender and youthful looking. The medicine is a highly concentrated pill preparation, which is extracted by latest scientific methods and according to a folk secret recipe carefully studied by Chinese medical specialists. Numerous clinical tests have shown it to be a real specific agent in clearing blood heat and eliminating toxins. 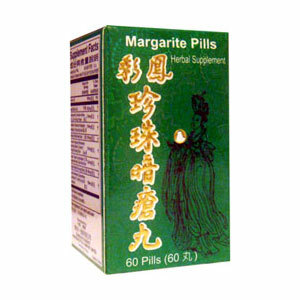 It is prepared exclusively from Chinese medicinal materials and has absolutely no harmful side-effects. This product is particularly effective against acne (especially those occurring in adolescence-acne). Acne disappears rapidly after taking this medicine. Since it is used in internal treatment, there are absolutely no scars left after subsidence of acne, which is its characteristic. Under the influence of this medicine, the skin restores its smooth and beautiful appearance. Further administration can regulate visceral functions, keep the complexion fresh, consolidate the kidney, and make the skin tender and youthful looking. 6 pills twice daily (in the morning and evening), with warm water or tea. More water or tea can improve efficacy. While using this medicine, don’t take fried food. Otherwise, the course will be prolonged, and the pharmaceutical effect will be counteracted. This medicine should not be used during pregnancy.